News from Toyota: On Tuesday the car marker announced it has a heat-resistant magnet that uses significantly less neodymium, a rare-earth element—reducing the amount of neodymium use by up to 50 percent. Reuters called it a "key rare earth metal" for electric vehicle motors. Great timing, said Mining.com, where Cecilia Jamasmie looked at the numbers. She said prices of neodymium were still rising while rare earth exports from China dropped by 30% in 2010. Akira Kato, general project manager at Toyota's advanced R&D and engineering company, addressed reporters at a briefing in Tokyo. Reuters reported his saying that "If we continue to use neodymium at this pace we'll eventually experience a supply shortage ... so we wanted to come up with technology which would help conserve neodymium stocks." Mining.com wrote "there are concerns that shortages will develop as electrified vehicles, including hybrid and battery electric vehicles, become increasingly popular in the future. Despite this, little effort has been made to address neodymium use." As for EV projections, the International Energy Agency's (IEA) expects the number of electric vehicles to reach around 40 million by 2040. This way, Toyota becomes less vulnerable to supply shortages. Not only does the new metal halve use of neodymium but it also eliminates the use of terbium and dysprosium. 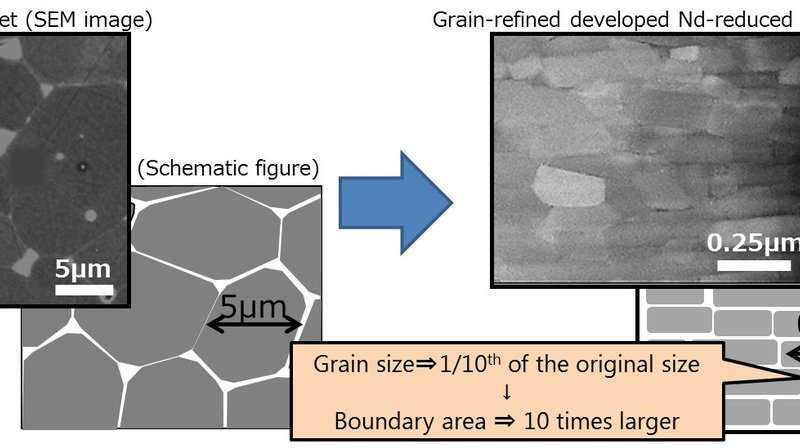 Toyota's announcement: "The newly developed magnet uses no terbium (Tb) or dysprosium (Dy), which are rare earths that are also categorized as critical materials necessary for highly heat-resistant neodymium magnets." Thing is, said Reuters, magnets used in most automobiles to operate motors comprise a total of around 30 percent of the rare earth elements neodymium, terbium and dysprosium. Automakers outside Toyota found ways to eliminate dysprosium and terbium from magnets by increasing the amount of neodymium. That is where Toyota shows a different path. They are cutting out the expensive metals from the magnets but at the same time are reducing the amount of neodymium. Toyota's solution involves lanthanum and cerium. 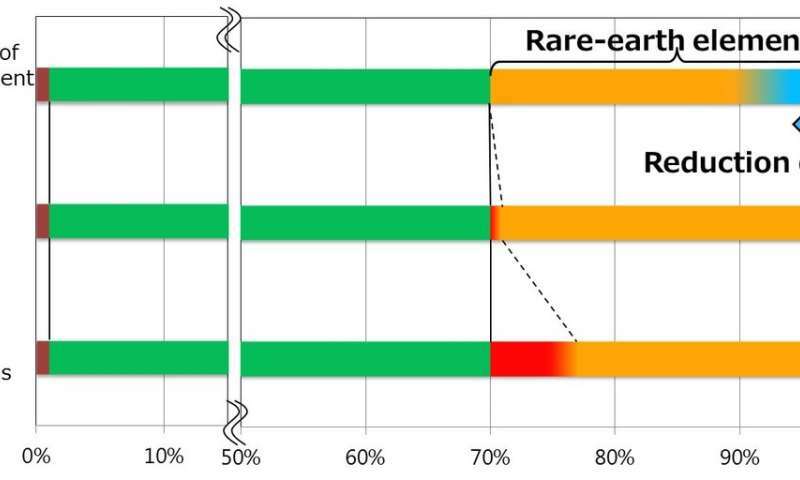 Lanthanum and cerium carry two advantages:(1) they are more abundant rare earths and (2) cost about 20 times less than neodymium, said Jamasmie. At the same time, just reducing the amount of neodymium and replacing it with lanthanum and cerium would not work; the result would be a drop in motor performance. Toyota said it has "new technologies that suppress the deterioration of coercivity and heat resistance, even when neodymium is replaced with lanthanum and cerium." Toyota said the new magnet has equivalent levels of heat resistance as earlier neodymium magnets, yet cuts the amount of neodymium used by up to 50 percent. 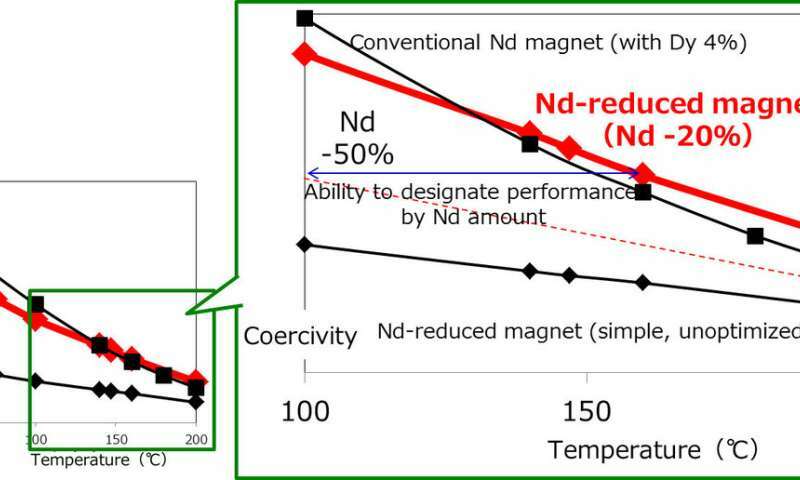 The announcement said the new heat-resistant magnet can maintain coercivity even at high temperatures because of the combination of these technologies: (1) Grain refinement of magnet (2) Two-layered high-performance grain surface and (3) Specific alloying ratio of lanthanum and cerium. Kato, in the Reuters report, said that Toyota could replace up to half of the neodymium used in magnets for motors that operate conventional vehicle functions like power windows with lanthanum and cerium, and around 20 percent for electric motor magnets. Green Car Congress said "the company will undertake development with the aim of practical application in high-performance electrified vehicle drive motors within the next 10 years." This looks to be a nice step toward affordability. La and Ce are almost free byproducts of mining for the other REEs. I don't like articles like this. What they fail to mention is that rare earth metals are not required for any of these applications. Yup, Teslas do not use rare earths. "This looks to be a nice step toward affordability. La and Ce are almost free byproducts of mining for the other REEs." Yet they still come mostly from China as with other REEs, which still puts China in a position to constrict supply. "Yup, Teslas do not use rare earths." 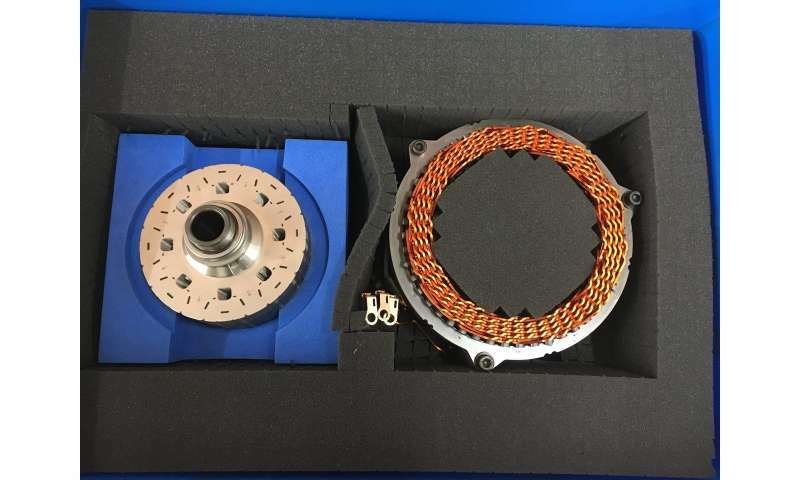 Because they use induction motors, which carry their own problems especially with efficiency and controllability at low RPM, which necessitates the use of more elaborate and expensive control electronics (VFDs). For small motors like window winders or actuators, a permanent magnet BLDC is lighter, smaller and superior in performance. Yes China has a monopoly, however it would not be hard to tap reserves in a bunch of other countries with great reserves. We can always charge the Chinese for REEs for food, oil, and gas. "We can always charge the Chinese for REEs for food, oil, and gas. " By we, you mean getting into touch with Russia and telling them to stop selling? China is a big country not devoid of their own resources. What they mostly want is money - global economic power. The top two imports that account for 60-70% of the trade to china isn't food and oil, but electronic and special equipment they can't (yet) manufacture for themselves. Once they can, they'll close the borders and jack up the prices. There's a history for that with the British and the tea trade, when China was the main source of tea, and they wanted nothing but silver in return, so Britain was losing money buying tea with no means to trade the silver back. It ended up in a war. "By we, you mean getting into touch with Russia and telling them to stop selling?" No, we do not need Russia to affect leverage on China. Economics and trade change. Presently it is moving to US advantage. Use of this leverage could create a trade war. "China is a big country not devoid of their own resources." Yes some but not all. "The top two imports that account for 60-70% of the trade to china isn't food and oil, but electronic and special equipment they can't (yet) manufacture for themselves." Very true. For example, they import maybe all components of an iPhone, assemble it, and export it. Very little value-add in this case. Industry rests on the foundation of raw commodities. For China the relative value of oil and gas is huge as well as higher quality food. During WWII the US provided between 7% and 10% of the Soviet war material. This included working spark plugs, 2000 train engines, 400,000 jeeps and trucks, spam, machine tools, and more. Without this Russia would have lost. It was what rather than how much. "Once they can, they'll close the borders and jack up the prices." To what advantage, others will fill the void and quickly. Mexico is already stealing market share. China has big demographics problems. "There's a history for that with the British and the tea trade, when China was the main source of tea, and they wanted nothing but silver in return, so Britain was losing money buying tea with no means to trade the silver back. It ended up in a war." I expect you are referring to the Opium Wars, where British forced opium down the throats of China so as to trade for tea. China is still pissed off about that. "To what advantage, others will fill the void and quickly." Others can compete at higher prices, so by incresing the price China will get the same power as OPEC - someone starts messing with them, they'll crash the REE prices and cause an economic downturn. They get to choose how much competition there exists because they can sell at just about any price they choose. That's the problem with monopolies in general. When a single supplier gets big enough, they can keep competitors off the market by the threat of destroying them economically in a war of attrition.